The anime adaption of Ninja Slayer is in the pipelines for a while now, but finally we got the first teaser trailer for the new series. It features the anime’s main theme song Back in Black by Boom Boom Satellites. 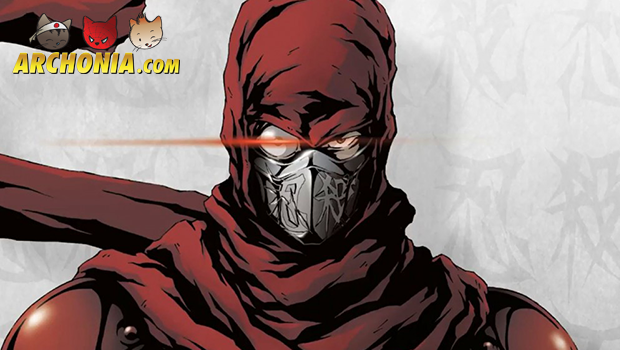 King Records released the first trailer for Ninja Slayer, the adaption of the Ninja Slayer novel series last Monday. Akira Ameniya will direct the anime, while the animation is done by Studio Trigger. King Records listed the following story for Ninja Slayer. “Kenji Fujikido is a salaryman whose wife and child were murdered in a turf war between rivalling ninja. Fujikido almost died himself, which caused him to become posessed by an enigmatic ninja soul, known as Naraku Ninja. As Fujikido cheats death, he becomes the ‘Ninja Slayer’ – a Grim Reaper destined to kill off evil ninja – commited to a personal war of vengeance. This tale takes place in the dystopian underworld of Neo-Saitama, where Fujikido/Ninja Slayer battles the Soukai Syndicate ninja in mortal combat”. The story is said to be posted originally as a postmeal by Japanese ‘translators’ Yu Honda and Leika Sugi, as they allegedly translated the work of American authors Bradly Bond and Philip Ninj@ Morzez. After the story gained popularity, publisher Enterbrain picked it up and published the first Japanese-translated volume in print called Ninja Slayer: Neo Saitama in Flames, in September 2012. By then, the story inspired comic adaptions from Enterbrain and Kodansha (including Kotaro Sekine’s Ninja Slayer Kills in Shonen Sirius), as well as an audio drama with Japanese voice actor Toshiyuki Morikawa as the title character.